In 1936, a new political party known as the Union nationale won the provincial elections. The leader of the Union nationale was Maurice Duplessis, a talented and ambitious lawyer from Trois-Rivières. 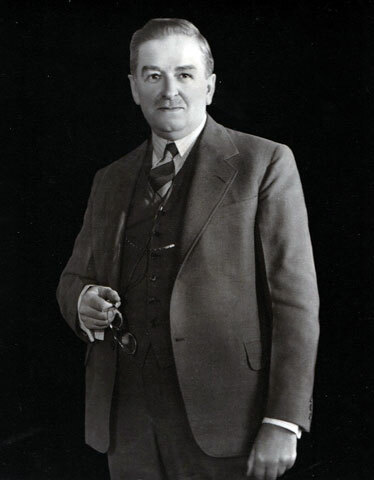 Bringing scandals to light and positioning himself as a reformer, he almost single-handedly brought down the Liberal government of Louis-Alexandre Taschereau. As promised, the Union nationale initiated a series of reforms, the most important being the creation of the Office du crédit agricole (farm credit board) in 1936 that allowed many farmers to save their farms from bankruptcy during these years of serious economic crisis. Other measures announced during the election campaign, such as the nationalization of electricity, were pushed into the background and party MLAs who demanded them were silenced. 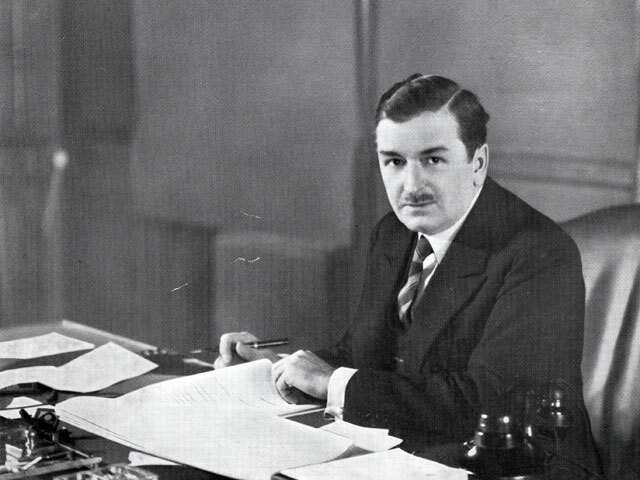 In an ill-fated and poor political move, Duplessis dissolved the Legislative Assembly in 1939 and called an election. The Liberal Party of Adélard Godbout won the election and the Union nationale became the official opposition. The Union nationale returned to power in 1944 in the wake of the conscription crisis of 1942 and the encroachment of the federal government in certain provincial jurisdictions, given the context of the Second World War. Thus began the 15-year reign of this political party. During this period, Quebec experienced an industrialization and urbanization boom. However, as the years passed, the Union nationale government appeared to be increasingly detached from new realities. On economic issues, the government advocated development at all costs. On social issues, the government was conservative to a fault. In each of these fields, there was to be no question of government intervention, and when there was, it was sparing at best. 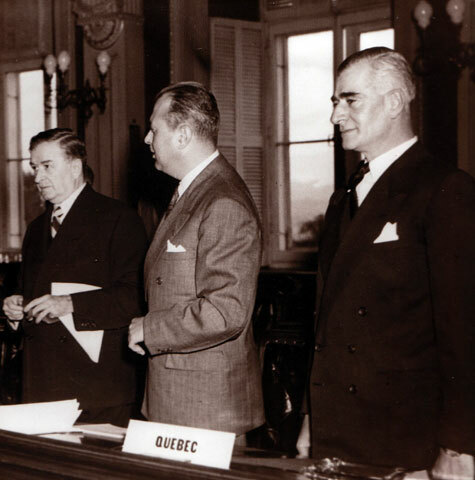 In its relations with the federal government, the Union nationale was defensive, categorically refusing any funds that Ottawa was prepared to place at the disposal of Quebec. In a blatant show of nationalism, the Union nationale spearheaded the creation of a provincial tax that stunned the federal government. During its 15 years in power, the Union nationale repeatedly emphasized the same program in three points: 1- as a reasonable man, Duplessis gave generously to his province; 2- the Union nationale's achievements were impressive; 3- the Union nationale provided a solid line of defence against the federal government.